79. 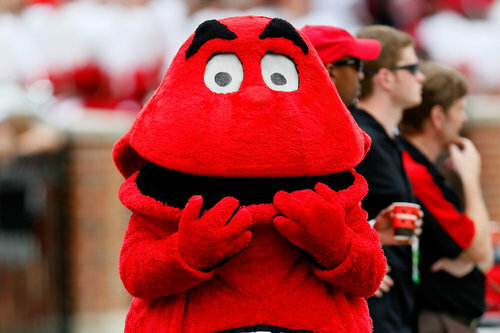 Western Kentucky Hilltopper. Assume a consistency like that of fake bacon dog treats, and a similar flavor. I’m a little concerned that we’re getting this before we’re even through bowl season. What’s EDSBS going to have left to give next March, when we’re five months from kickoff and really desperate? I’m going to end up getting thrown out of a used video game store for trying to lick all their copies of NCAA 2009.